Memories fade, but photos don't! 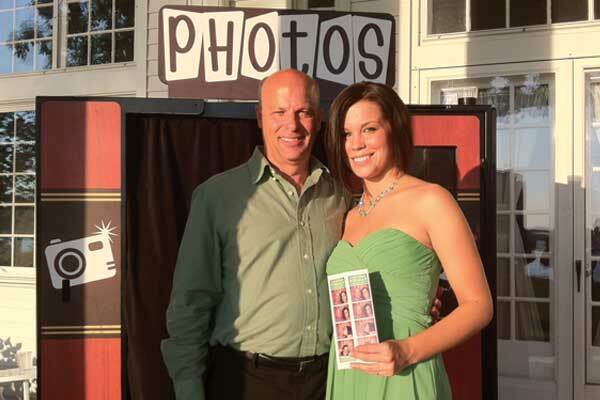 Our Professional Photo Booths are perfect for your upcoming special event. 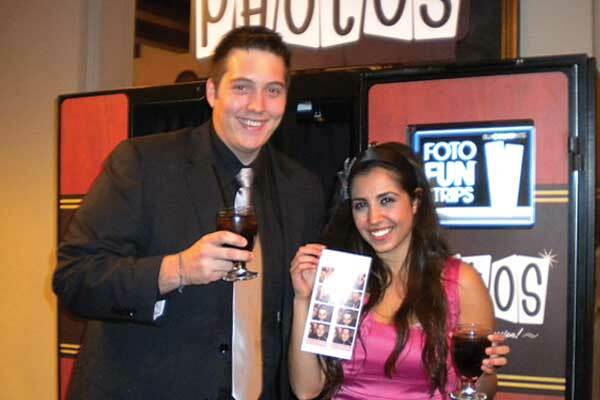 Our REAL photo booths provide a fun and entertaining experience for both you and your guests. 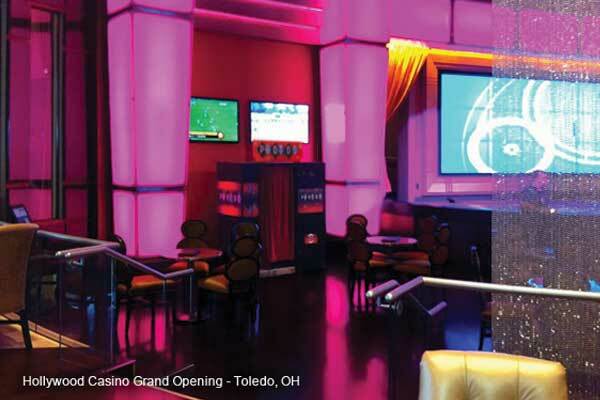 Make your next event extraordinary! 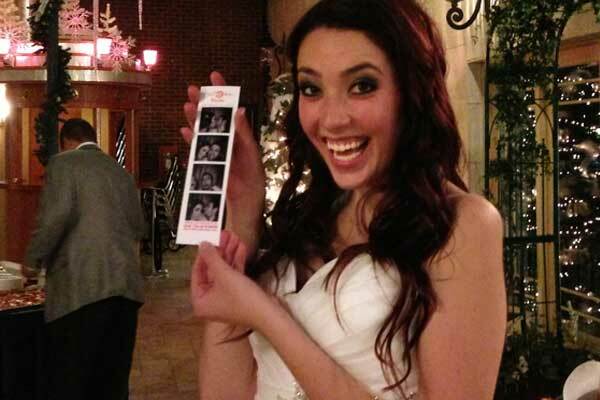 Capture the intimate, the hilarious and the unexpected memories, that are easily missed, with a photo booth. 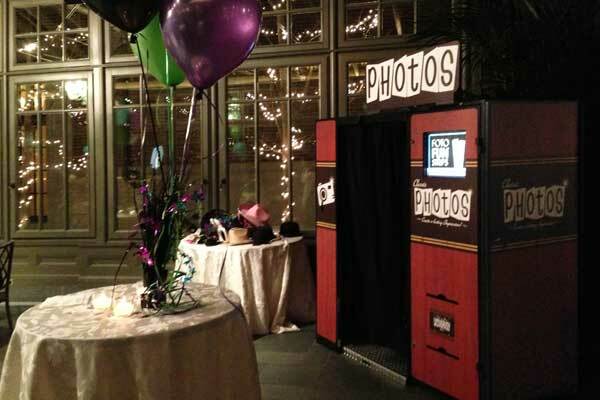 Our photo booths are beautiful, and each rental includes delivery, set-up, and take down. 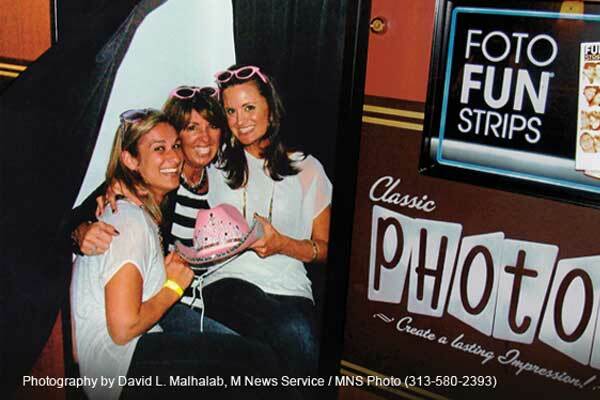 Our gorgeous retro style photo booth will be a huge hit at your next event! Each is equipped with the latest digital screens and cameras that produce beautiful, crisp-looking color, black and white, and sepia photographs. 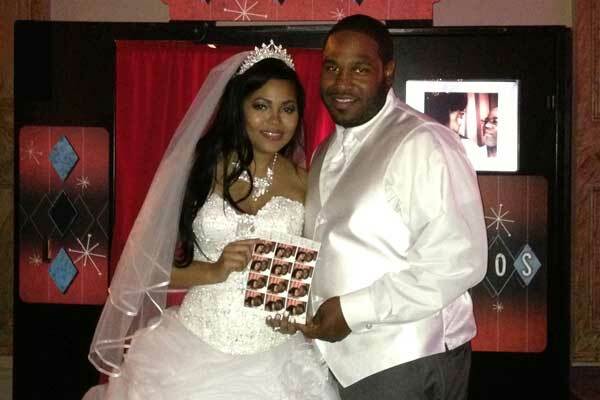 Our photo booth will take your event to the next level! Check out our Photo Gallery below! 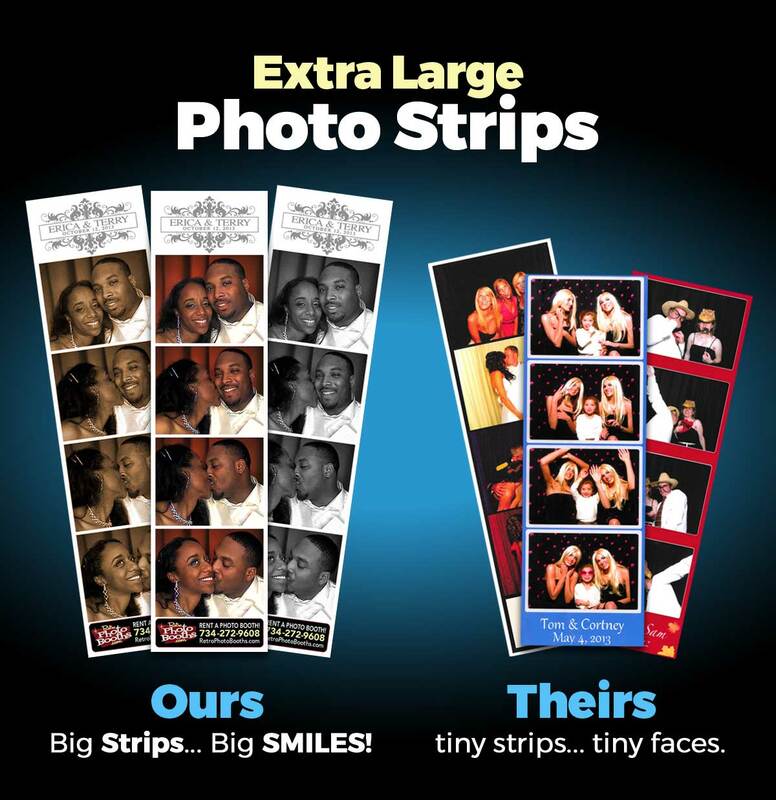 ONLY WE provide extra large, ultra high-resolution, UV-coated, TRIPLE photo strips to capture your guests' priceless faces up close. 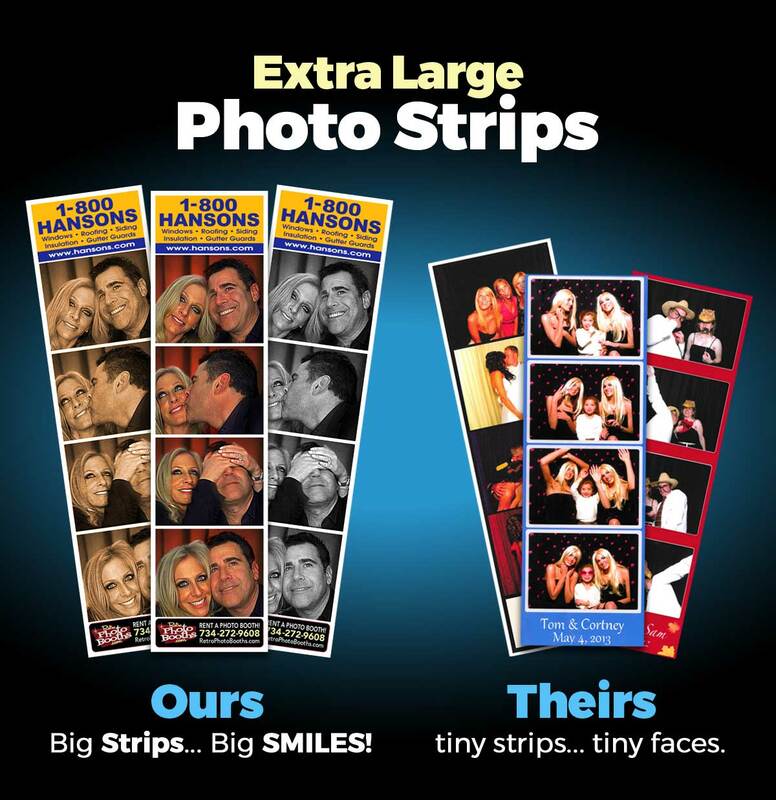 As you can see when compared to our competitors' tiny, lower-quality photo strips... well... we'll let you be the judge. 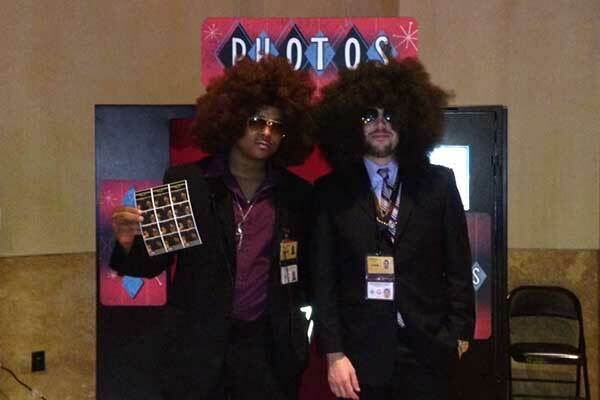 Our retro photo booths use dye-sublimation printers which can generate three unique outputs — color, sepia, or black & white — and can easily be customized with a graphic or logo to make your special event more memorable. 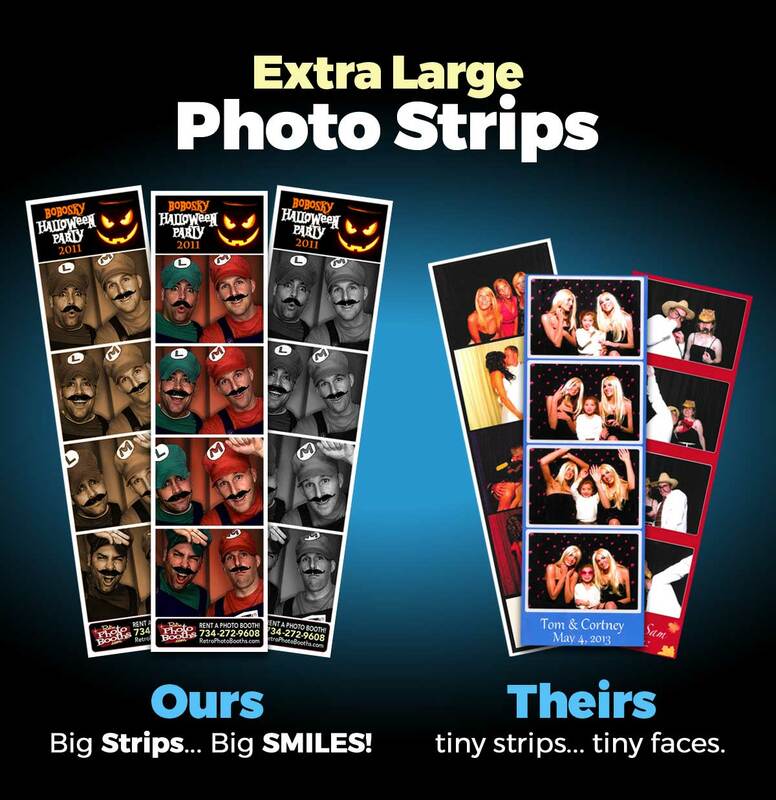 From your wedding name and date, to a corporate logo, or any party theme... each strip can be tailored to your specific photo booth event! Why don't you publish your prices? 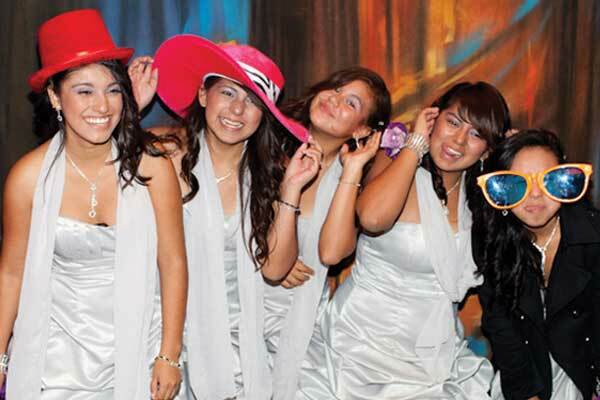 We offer package discounts for multiple rental services. The more items you rent from us, the better deal we can give you on each one. Leaving out individual item prices prevents visitors from adding them all up and having the wrong idea of what their discounted bundled package could actually cost. For rates, call us at 734-272-9608, or write us here about what you're interested in, and we'll contact you promptly with a great deal! 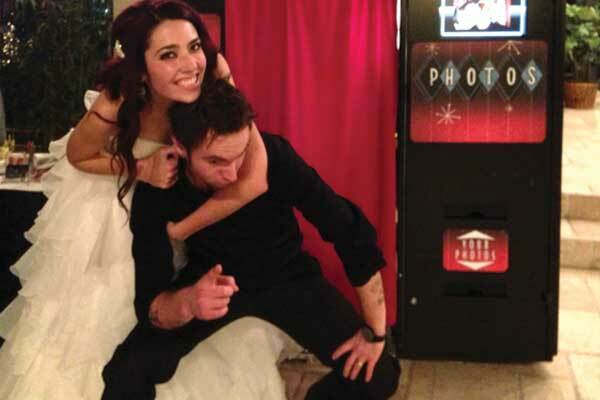 Is there an extra delivery or set-up charge for a Photo Booth? No. Delivery and set-up, within our service area, is included as part of the quoted rental rate. We will occasionally travel outside of our service area for larger rentals, and an additional delivery fee might be necessary depending on distance. Providing services beyond our local area will be decided on a case by case basis. 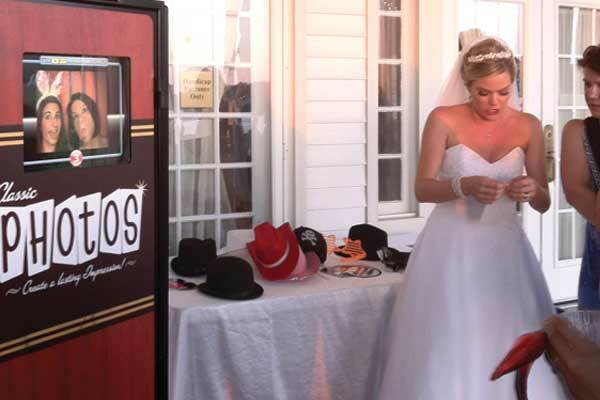 Can I come by and see your photo booths in action before I decide to rent one? Certainly! Just contact us for an appointment so that we can have one set up and ready for you. You can even try one out if you'd like! 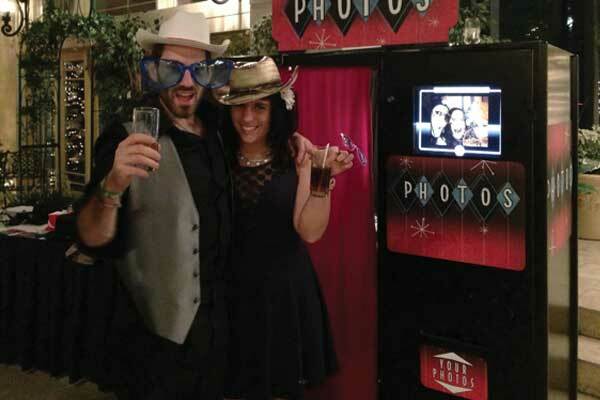 Most other photo booth companies don't even show pictures of their photo booths on their websites, and we can probably guess why that is. 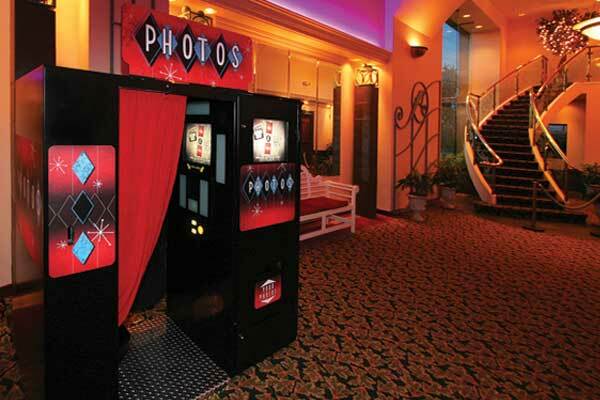 But we're proud to show off our beautiful photo booths because we know that you will absolutely love them! 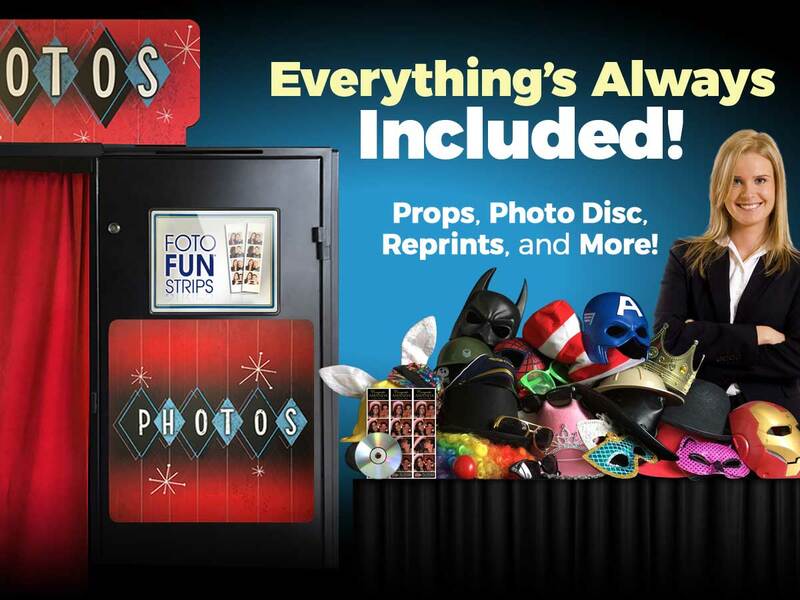 Can I pick up the photo booth, rather than having it delivered? No. 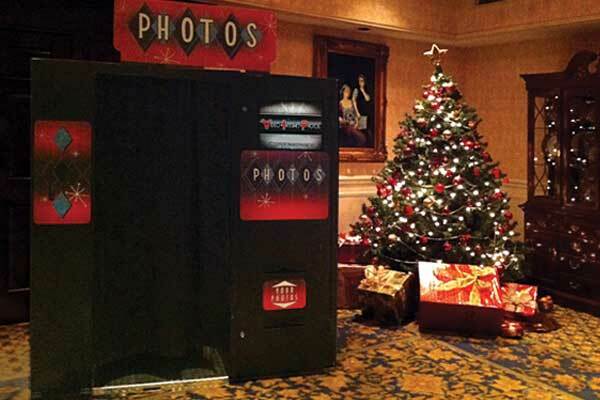 Our photo booths are over 400 pounds, extremely expensive, and very complex. 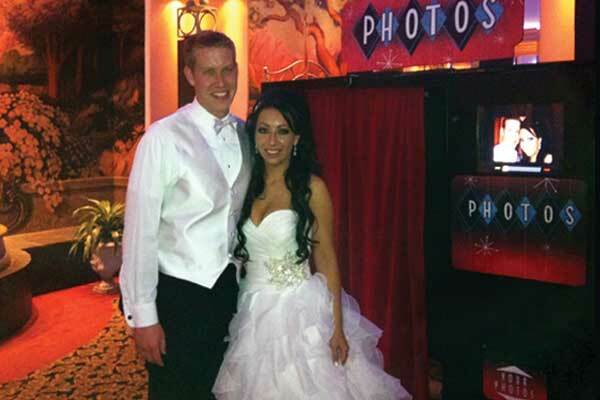 Our professionals deliver, set up, and operate all of our photo booths. Can we have our photo booth outdoors? Absolutely. All that is required is a hard, flat, level, dry surface. If necessary, under certain weather conditions, the booth may require being covered with a canopy, moved into a garage, or sheltered in some other way. Property with hilly landscapes must be driven over with our vehicles in order to unload our photo booths at flat locations. Property must be cleared of rocks and any other debris ahead of time for photo booth delivery. 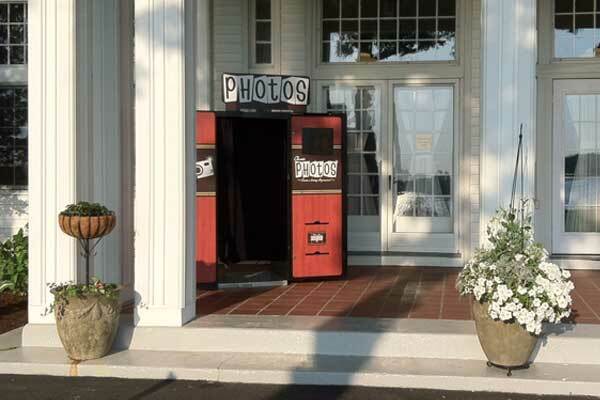 Once unloaded, we cannot move our photo booths over gravel, uneven ground, or steps. 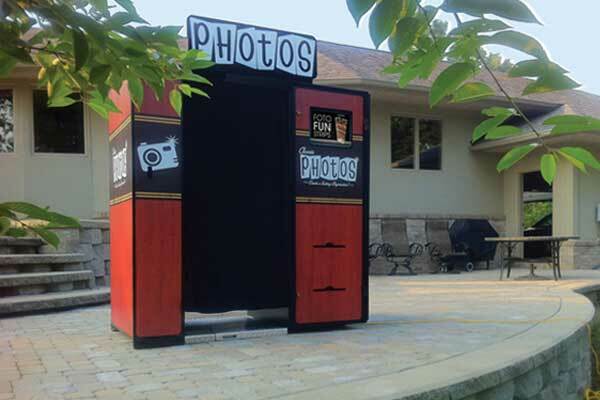 Photo booths placed on lawns will require a sheet of plywood (or other suitable material) underneath. 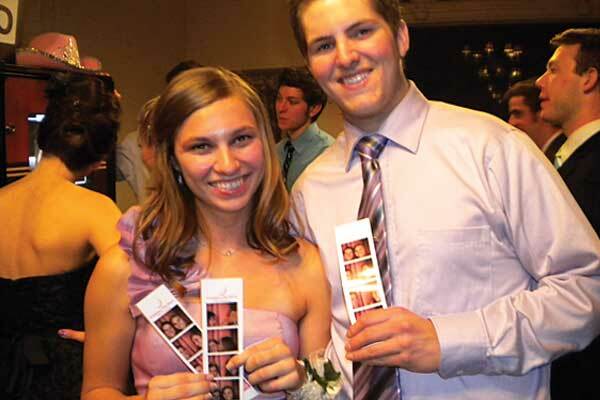 We will not place our photo booths directly on grass or wet ground. Nor will we drive our vehicles through mud or conditions that could possibly result in our vehicles becoming stuck. 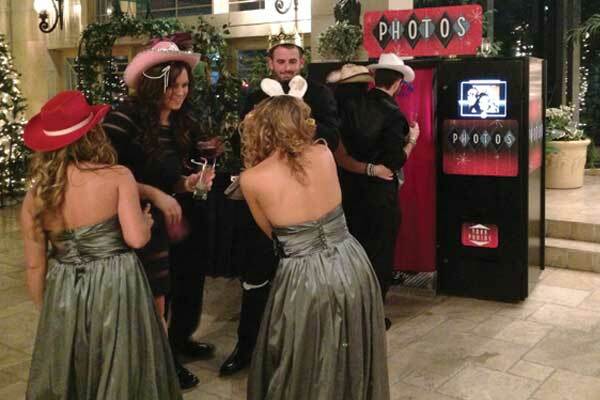 If any of the above conditions prevent us from setting up our photo booth, you will either have to decide on another location, or cancel our services and forfeit your deposit. 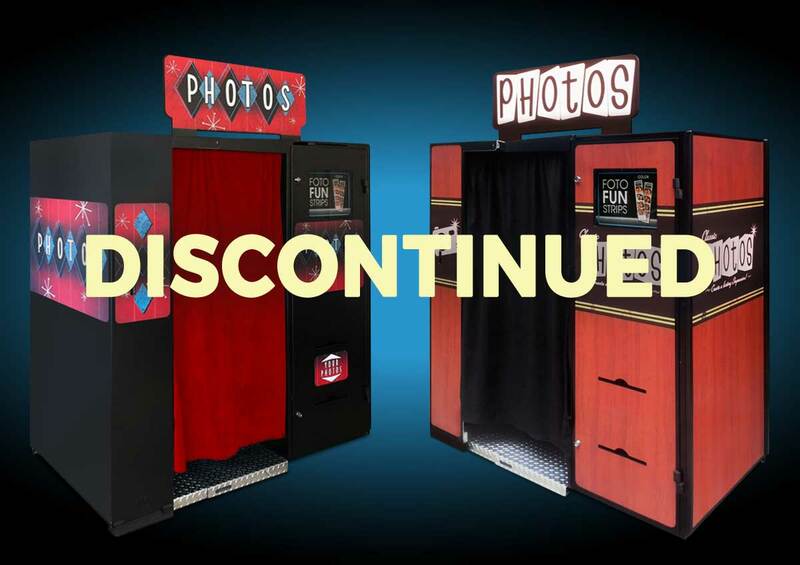 When you reserve one of our photo booths, that booth then becomes unavailable for another potential customer. 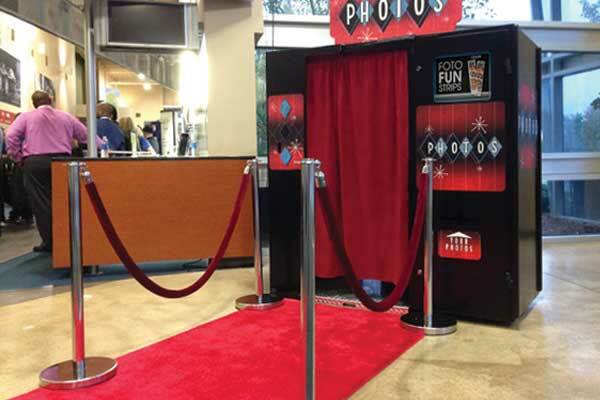 Therefore, if we show up at your event only to find that you have no acceptable location for the booth to be placed, we have lost out on renting the booth to someone else. 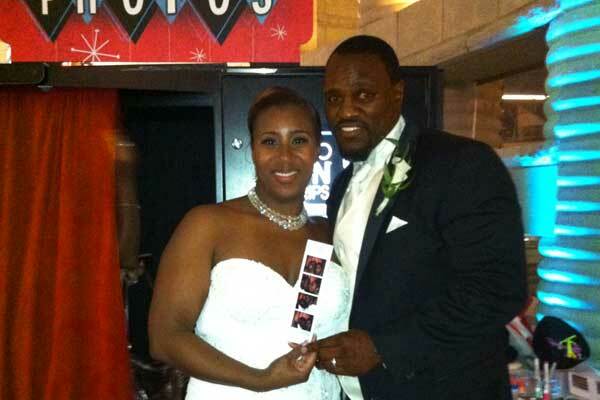 How long are your photo booth rental periods? 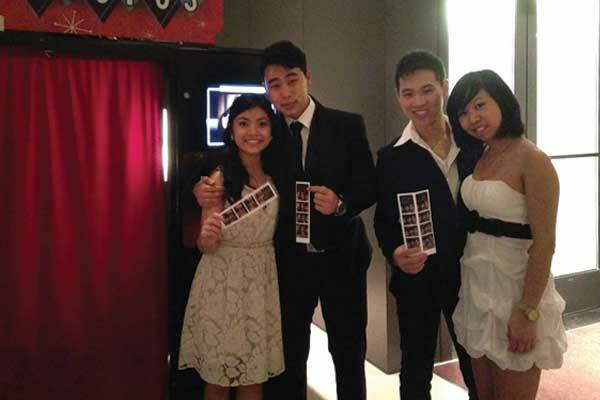 You can rent our booths for as little as 2 hours if your event is within a very short distance from us. Otherwise, 3 or 4 hour rentals are the most common. However, you can rent a booth even longer, if you'd like. But, in most cases, 3 or 4 hours is enough time for most events, unless it is an all day event with several hundreds of guests. Can we keep the booth longer than our scheduled rental time if we need to? 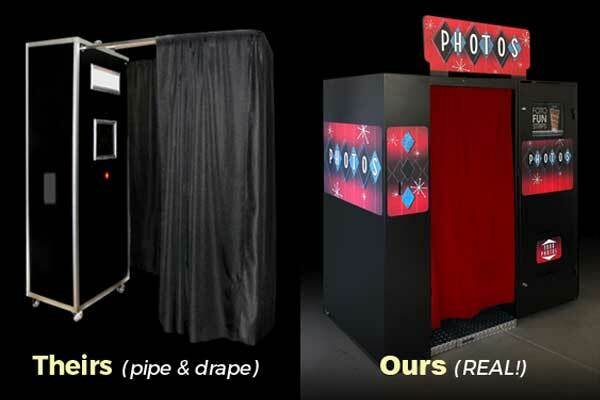 Yes, as long as we do not need the booth for another scheduled event, you can rent the photo booth for an additional $100 per hour. However, we will not, under any circumstances, leave the booth anywhere overnight, or unattended. 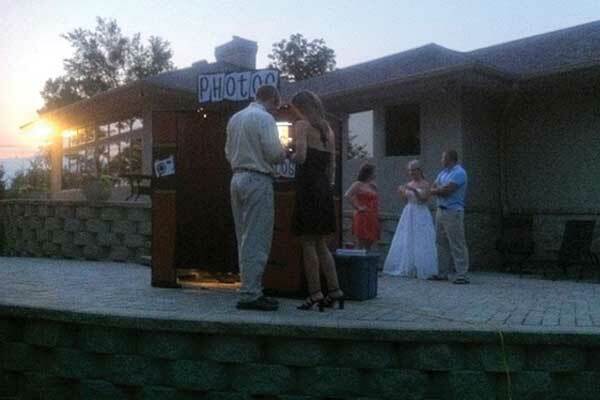 If I need our photo booth set up early, will I be charged for the idle time before it opens? No. 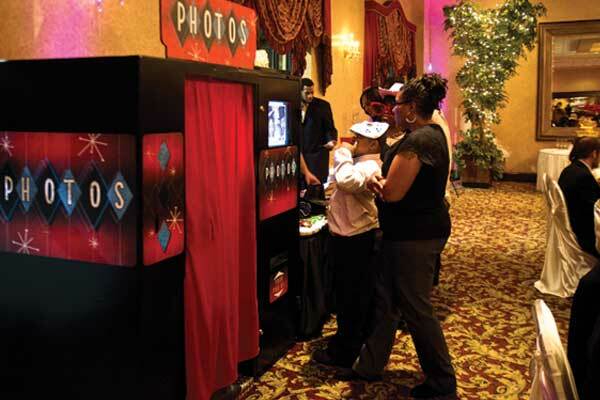 We will make every effort to set up your booth as far ahead of time as possible to avoid disrupting your event and inconveniencing your guests, and you'll only be charged for the time the booth is actually running. 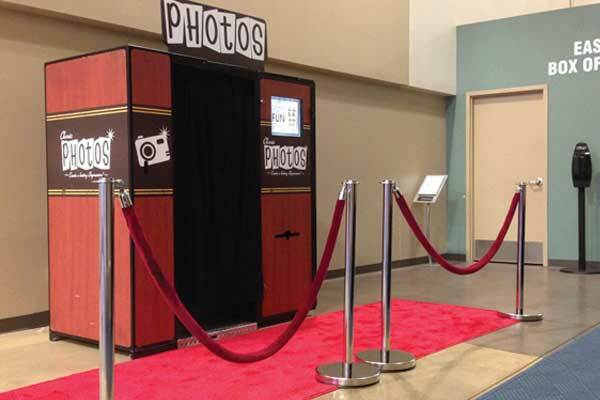 However, please let us know, IN WRITING on your Event Agreement, when you need your photo booth set up so that we can schedule around other events and meet your needs (verbal notices can lead to misunderstandings). 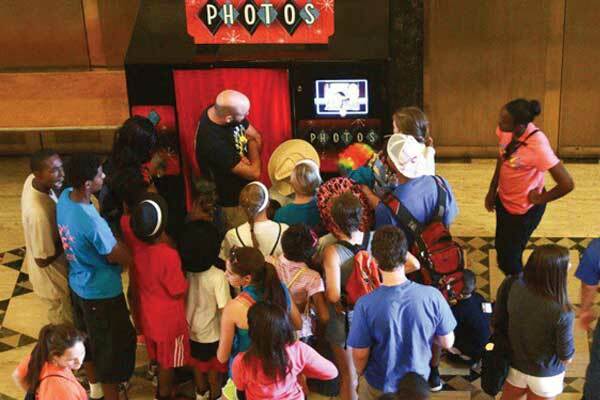 We service multiple events per day and must coordinate them accordingly. We cannot guarantee early deliveries and set-ups with too short of notice or last minute time changes. We will not be using the booth during dinner hour. 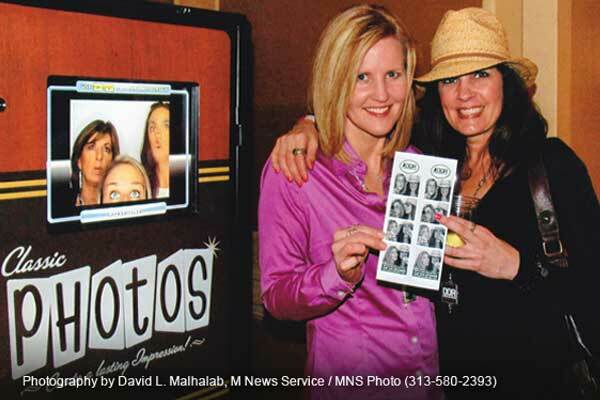 Can we have the photo booth temporarily down during this time without being charged? 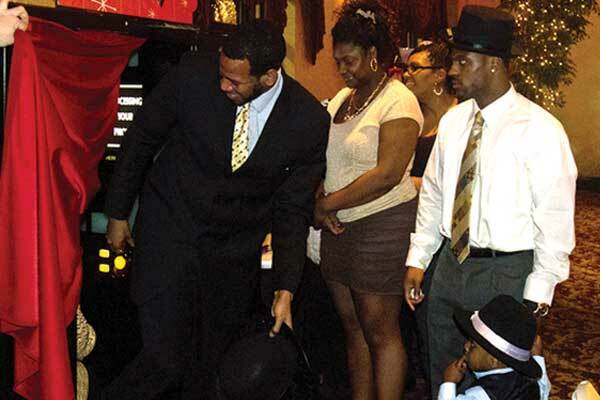 Our attendant must be present, and compensated, during his or her time spent at your event. Therefore, the normal rental period lasts from the time the booth first opens, until it is taken down. However, if you have any unusual circumstances that require this sort of request, please contact us and we'll be more than happy to discuss any possible solutions to accommodate you. 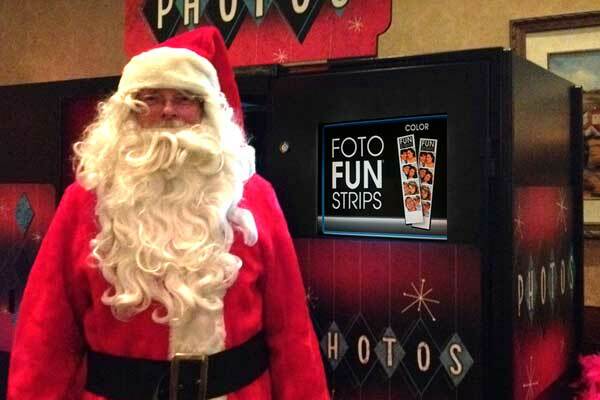 Can I order duplicate photo strips? 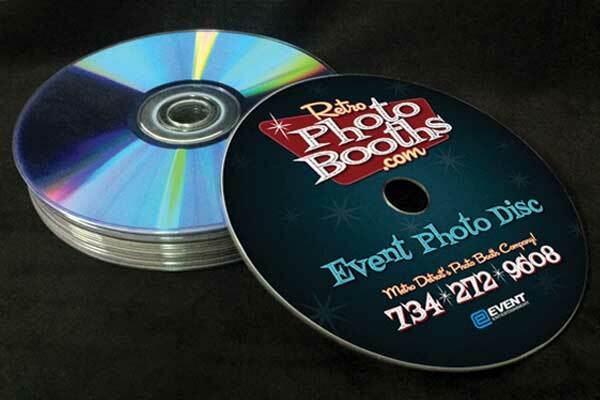 No, but all photo booth rentals include a Photo CD containing all of the photos taken during your rental. Simply print the ones you want. What is the Photo Guest Book? The Photo Guest Book is a photo album (or memory book). 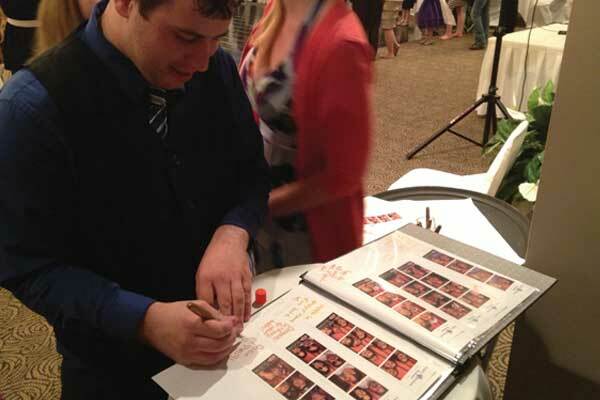 Our attendant will collect each duplicate photo from your guests, and assemble them into the guest book during the entire rental, while providing space for your guests to comment and sign. After each page is complete, the attendant inserts it behind a clear, protective layer. 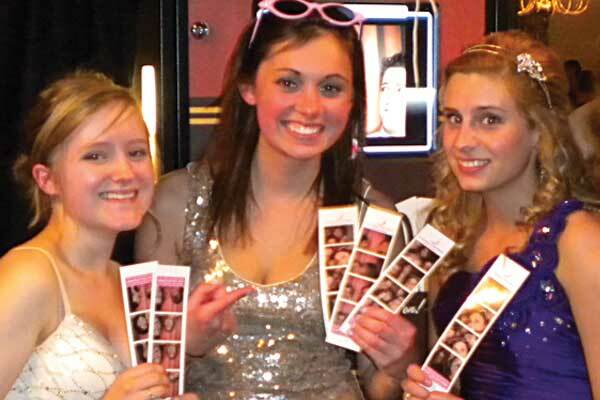 At the end of the rental time, the completed book is then given to the party who rented the booth. Why couldn't I just supply my own Photo Guest Book? You can. However, be sure to provide any necessary supplies (pens, glue sticks, a table, etc.) for your guests to use to assure that the book will be completed to your satisfaction. 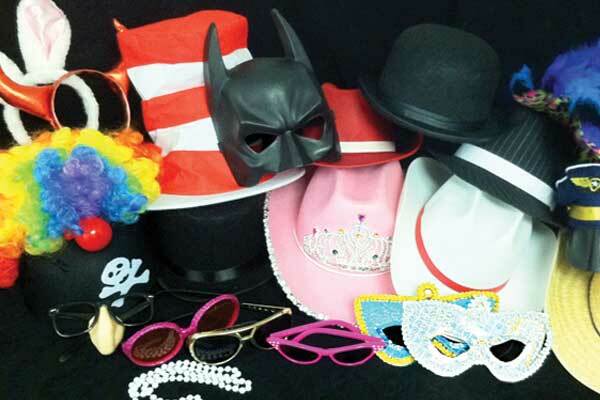 If you opt out of our Photo Guest Book option, we'll assume that you're not going to have one at your event, and we may or may not have these supplies with us. 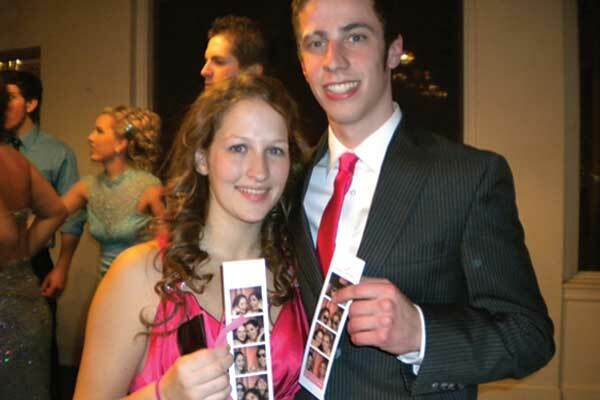 How do we go about getting our Custom Photo Strip artwork? 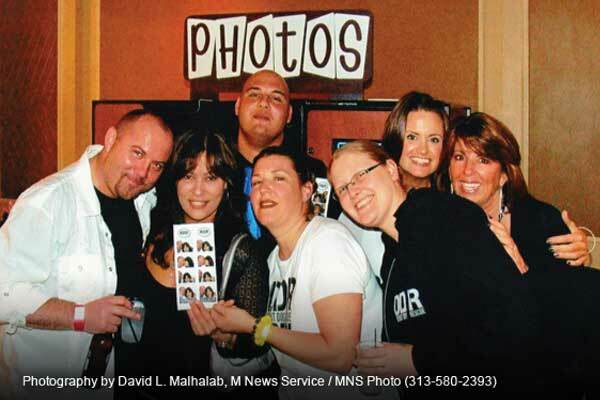 When you are ready to reserve your photo booth on the Event Agreement form, simply select from the Custom Graphic choices before submitting. Our graphics department can design a great-looking and professional-quality photo strip header for you or your organization. However, since this is included at no cost, we cannot spend hours upon hours re-designing and re-proofing several variations of a design. Therefore, if you'd prefer something specific, other than our design, please feel free to submit something to us. 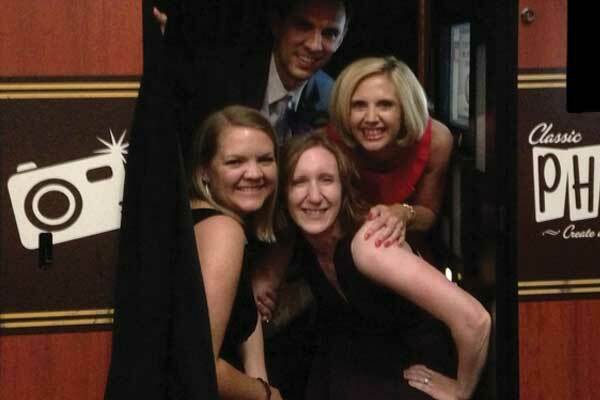 Can we move the photo booth up or down stairways? No. 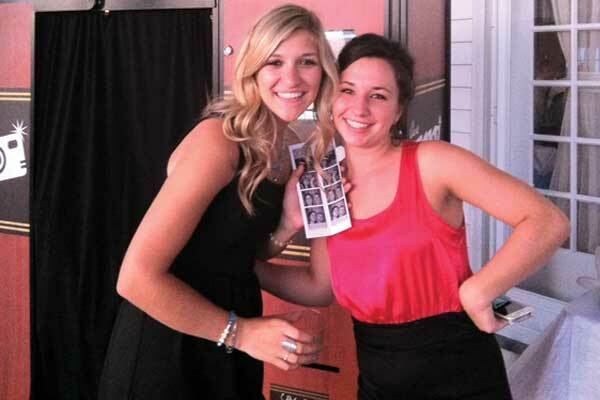 The photo booth must be delivered and set up in an area that does not require any steps. 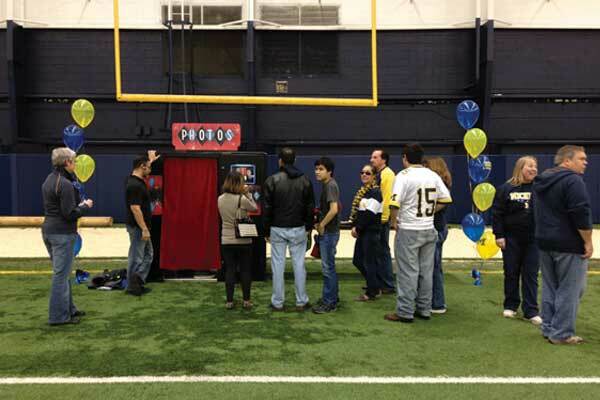 The photo booths are one piece, weigh over 400 lbs, and cannot be moved easily up and down stairways. If a booth is dropped, it could result in an injury, not to mention hundreds of dollars in repairs. We can sometimes unload a booth from our vehicle when backed up against certain porches, decks, or other non-ground level structures, whenever possible, as long as they are determined by us to be sturdy enough, and accessible enough. 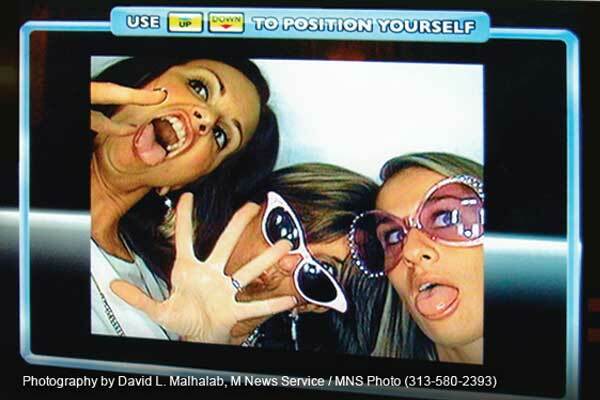 We reserve the right to refuse placing our photo booths in unsafe or problematic locations. Do you beat your competitor's low promotional rates? We are always willing to consider matching or beating a "legitimate" competitor's promotional rates. Just BEWARE that there are some companies out there that simply quote extremely low rates just to get bookings, then later as the event dates approach, choosing which ones that pay off the biggest for them, then cancelling on everyone else at the last minute. They may even be booking more booths than they actually even have, just to keep customers on the hook and prevent them from going elsewhere, until they decide which events are more worthwhile for them, and which ones aren't. Cancelling on customers when better offers come along is about as deceitful and unprofessional as it gets... and we don't even involve ourselves with outbidding them. Remember, if a deal sounds too good be true, it probably is. You may cancel at any time before your event. However, as indicated within our Event Agreement, all deposits are non-refundable. When a client reserves our services, we must turn down other potential clients. 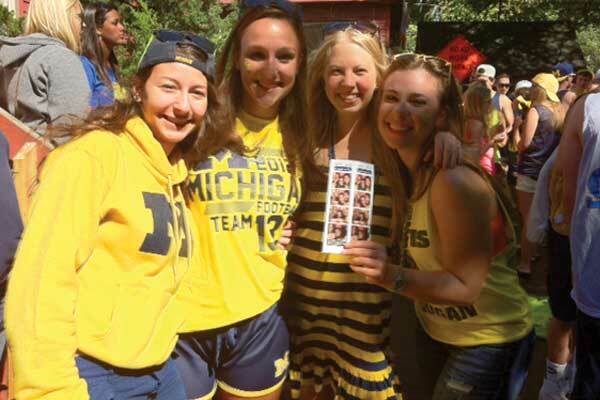 Deposits can, however, be re-applied to rescheduled or future events pending availability. All cancellations MUST be made in writing only. Rescheduling for events cancelled due to inclement weather shall be accommodated without penalty whenever possible. Rescheduled events are subject to availability. © 2016 Event Entertainment LLC.